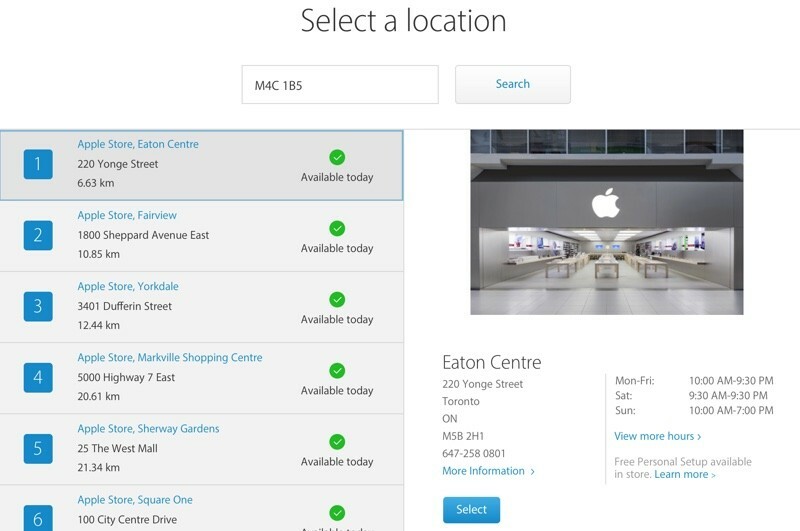 As of today, Apple has launched an in-store pickup feature in Canada and Australia allowing customers in those countries to order and pay for devices online and pick them up in retail Apple Stores. Personal Pickup has long been available in the United States, but this is the first time it's expanded to additional countries. MacRumors reported on the possible expansion of Personal Pickup in early November after receiving word Apple was training retail employees in Australia, France, Canada, the UK, and other countries. While Personal Pickup has currently only expanded to Canada and Australia it may roll out to additional countries in the near future. Personal Pickup is available for a number of Apple products, from Macs and Apple TVs to the iPhone, iPad, and Apple Watch. When an order is placed for an in-stock item for Personal Pickup, Apple employees get it ready to go and then send an email to a customer whenever it's ready. Out of stock items are able to be shipped to a store for Personal Pickup. This week has been big for both Australia and Canada. Along with the availability of Personal Pickup, both Canada and Australia have also gained Apple Pay through a partnership with American Express. Apple Pay is available in Canada as of today and will be available in Australia on Thursday. As a Canadian it's nice to see my country get some love from Apple services. OMG they moved the Eaton Centre to Toronto ? I thought it was in Montreal. Must have taken a lot of U-Haul trucks to move such a big building !